Hooked On The American Dream: Ratification of the Magna Carter: Is Jay-Z The Greatest Rapper Alive? Ratification of the Magna Carter: Is Jay-Z The Greatest Rapper Alive? As Jay-Z brings the traveling road show known as Blueprint III to Baltimore's 1st Mariner Arena Oct. 27, he does so at a time when he is literally carrying both hip-hop and it's hostile kidnapper—Rap Mu$ick, LLC—on his back. Shawn Corey Carter is at a crossroads in the continuous ascent of his vertically integrated career. He's been both passenger and conductor on the Jigganational Express. It's been a bit of a Rocafella ride from Hoyt-Schemerhorn streets to BP-29, Boulevard JF Kennedy in Antibes, France, but Jay is not about to be derailed from the bon bon vie. The sun may shine in the Marcy Projects, but it's seems warmer and sexier at the Hotel Du Cap. Jay-Z has retired once, and if he were to stage the same stunt, double jeopardy would nullify double indemnity; Hova would float off into the hoax-y blue yonder as Brooklyn's version of Balloon Boy. So what's the next strong move to the basket? 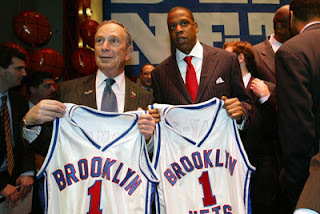 Co-ownership of the Brooklyn Nets? A chain of boutique-y luxe hotels? More albums? A television show? Movies? Broadway? A book? Or the first MC on the Space Shuttle? Decisions, decisions, but nine figures can buy a whole lot of options. Greatness in hip-hop is different from greatness in film, or sports, or politics, or medicine, or even other genres of music. Greatness in hip-hop, to me, boils down to one criterion. Can that MC or crew dodge the hollow-point bullet marked obsolescence? Or better yet, is that artist bulletproof altogether? Jay might be bulletproof. If I ever got a chance to interview Jay, I would ask him one question: Was he raised as a Jehovah's Witness? It's a legit query; he's made a reference to it the in "D'Evils"—"Stop screamin'/ you know the demon said it's best to die/And even if Jehovah witness, bet he'll never testify, D'Evils"—from his classic 1996 debut, Reasonable Doubt. 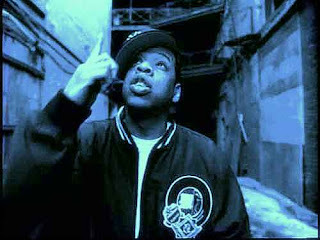 It was also around this time that Jay began to refer to himself as Jay-Hova. 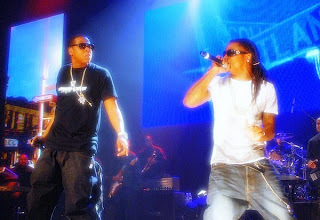 This was not only a ploy for Shawn Corey Carter to distance himself from the guy that put him on in the game—Jaz-O—but his declaration that he had bigger aspirations than just a platinum plaque, a seven-figure HSBC bank account, and a drawer full of Franck Mullers and Audemars: Hova was aiming for omniscience, which, now that I think of it, would make him Kevlar to the ammo of irrelevance. Jay grew up in the Marcy Projects in Brooklyn, which was not too far from the landmark Watchtower building on the Brooklyn periphery of the Manhattan Bridge. Did his mom, Gloria, or some auntie, drag him from apartment to apartment in the Marcy, trying to hand out copies of Awake or Watchtower, and quietly witness about their eternal ticket to Life Everlasting? Did the stick-up kids and scramblin' corner boys clown a pre-teen Shawn Carter and his clip-on tie and starched white shirt? Did the future S.Dot sit in Kingdom Hall daydreaming of a life better than Do-or-Die Bed-Stuy? Looking at Jay now, as a nearly 40-year-old man—come on now; you know he can't be 38 forever, no matter how many shekels he has accumulated—his eyes are soul-weary, muted, and introspective, just like the kids from my sixth grade class at I.S. 10 in Harlem who were Jehovah's Witnesses. J.W. kids who sat in their room and quietly developed an encyclopedic knowledge of the Jackson 5 and James Brown and Marvin and Stevie as they studied the personnel on album covers that they snuck into the house without their parents' knowledge, and danced to while they were at work. The same kids I saw 11 years later at a P-Funk show at the Palladium in NY, shaking their chickaboom-booms to George and Bootsy and Bernie Worrell, but in keeping with their faith, turning their backs to the stage. At the concert, but not of it. Was Jay one of those kids? Is Jay-Z the greatest rapper alive? DeWayne "Lil' Wayne" Carter may have something to say about that. He is Gen-Why's Crack Cobain, in their search for a new musical Nirvana. This tale of Two Carters is as much about a generational shift, as it is a survival of the fittest. Jay may be the Magna Carter (though they aren't related, both men share similar surnames) but Weezy smells succession not like teen spirit, but like the diamond-misted heir of entitlement. The aroma of hip-hop royalty has been in his lungs for a long time. And we are in the age of Obamica now; if a black man can become president of the United States, then a wicked jump shot or slinging crack rocks—as the greatest rapper of all time, the late Christopher Wallace once suggested—is not the only way out of the hood. The looming shadow of the big baller/shot caller has not disappeared completely, but it's getting smaller. 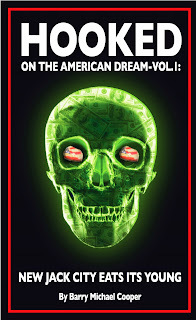 Here is another thing I wondered: If there was no such thing as the Reagan Era, or Iran-Contra, or Oliver North, or crack cocaine, what would Jay-Z and his MC off-spring such as Weezy and Clipse be rapping about? True, crack rap filled the coffers of not only the MCs and producers, but the CEOs of the record labels/multi-national media conglomerates. The transgressive stories of transforming guppy-skinned white powder to tan rock was compelling and dangerous—a stairway to heaven before the recession, an elevator to the gallows afterward. Rap Mu$ick LLC, is almost dead and stinking, now; it jumped the Great White Shark of fish-scaled bling almost a decade ago. It is now feeling the beached and bloated effects of "Swag Now, Pay Later." Rap Mu$ick, LLC now relies on Jay-Z, and his architectural design of Blueprint III to take it back to the essence of hip-hop and bring it out of its self-possessed repossession of cultural foreclosure. And maybe for that reason alone, I have the answer to my question.